[SatNews] General Dynamics C4 Systems SATCOM Technologies received a contract from Lockheed Martin to design and build the ground structures and integrate the mechanical systems for the U.S. Air Force Space Fence program. The new advanced ground-based radar system will enhance the way the U.S. detects and tracks more than 100,000 orbiting objects in space and increase the ability to prevent space-based collisions. The improved situational awareness will help protect space-based assets like the International Space Station from potential collisions that could severely damage, disable or destroy it. The ground structures will house the Space Fence radar elements and other operations related to the Space Fence system. "Just like the precision radio-telescope antennas, General Dynamics C4 Systems SATCOM Technologies' expertise in building exceptionally large, exquisitely engineered structures will contribute to keeping the satellites we depend on for communications, weather forecasting and other services from colliding with space debris," said Chris Marzilli, president of General Dynamics C4 Systems. Construction of the Space Fence ground system will begin mid-2015 on the Kwajalein Atoll in the Republic of the Marshall Islands. The U.S. Air Force contract value awarded to Lockheed Martin is greater than $910 million. 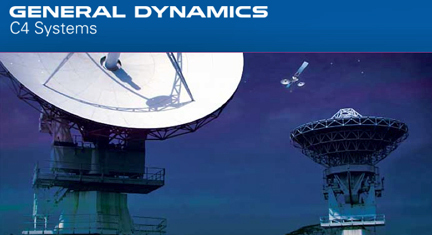 General Dynamics C4 Systems SATCOM Technologies has successfully designed and built a number of structures that support U.S. government radar systems including the Ground-based Radar-Prototype, Sea-Based X-band Radar and Cobra Judy Replacement. For more information about General Dynamics C4 Systems, a business unit of General Dynamics (NYSE: GD), please visit http://www.gdc4s.com.